1. Guo-Qiang Liu，Competition between spin-orbit coupling and magnetic exchange splitting in Ca2RuO4, Phys. Rev. B 88，104428 (2013). 2. Weiwei Ju，Guo-Qiang Liu and Zhongqin Yang, Exotic spin-orbital Mott insulating states in BaIrO3, Phys. Rev. B 87, 075112 (2013). 3. Guo-Qiang Liu, Spin-orbit coupling induced Mott transition in Ca2−xSrxRuO4 (0≤x≤0.2), Phys. Rev. B 84, 235136 (2011). 4. 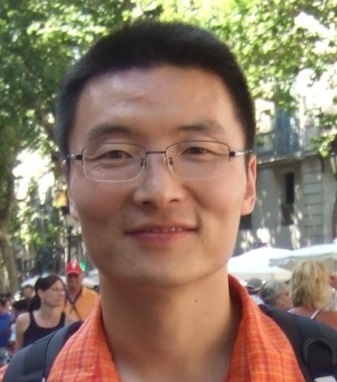 Guo-Qiang Liu, Mott transition and magnetic anisotropy in Ca3Ru2O7, Phys. Rev. B 84, 235137 (2011). 5. A. N. Yaresko, Guo-Qiang Liu, V.N. Antonov, O.K. Andersen, Interplay between magnetic properties and Fermi surface nesting in iron pnictides, Phys. Rev. B 79, 144421 (2009). 6. Guo-Qiang Liu, V. N. Antonov, O. Jepsen, and O. K. Andersen, Coulomb-Enhanced Spin-Orbit Splitting: The Missing Piece in the Sr2RhO4 Puzzle, Phys. Rev. Lett. 101, 026408 (2008). 7. Guoqiang Liu and Bang-Gui Liu, Tight-Binding study of magnetic properties of Mn-doped Ge, Phys. Rev. B 73, 045209 (2006). 8. Guoqiang Liu, D. Nguyen-Manh, Bang-Gui Liu and D. G. Pettifor, Magnetic properties of point defects in iron within Tight-Binding-Bond Stoner model, Phys. Rev. B 71, 174115 (2005).